I am a Digital Marketing Coach and Mentor. I help people create financial security through digital marketing. I am the founder of Steve Greenhalgh.com. 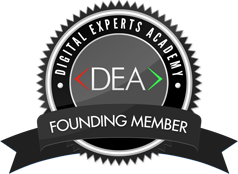 A founding member of ‘The Digital Experts Academy', and co-founder of an international mastermind group that specialises in helping on line and off line business's develop greater profit. I am the author of The Report, ‘Exposing 7 Myths That Stop People Creating Financial Security Through Digital Marketing'… and several insider reports addressing specific marketing techniques. In the past 27 months, I have worked closely with dozens of students from around the globe, helping them to create anything from a few hundred dollars a month extra to get by, all the way to replace or even multiply their income to achieve financial freedom. For example, I have recently worked with Marie, who having had her second child, could not face returning to the corporate world. She really wanted to stay at home and be the mother of her children, however she and her husband needed that corporate income to sustain their lifestyle. In the last 7 months – using my unique 3 step formula – she was able to more than double her income, but more importantly, was able to do that working from home nurturing her children.